Sandra integrated a lighting factor to this installation ironically, inspired from the lack of electricity in her city, Beirut. 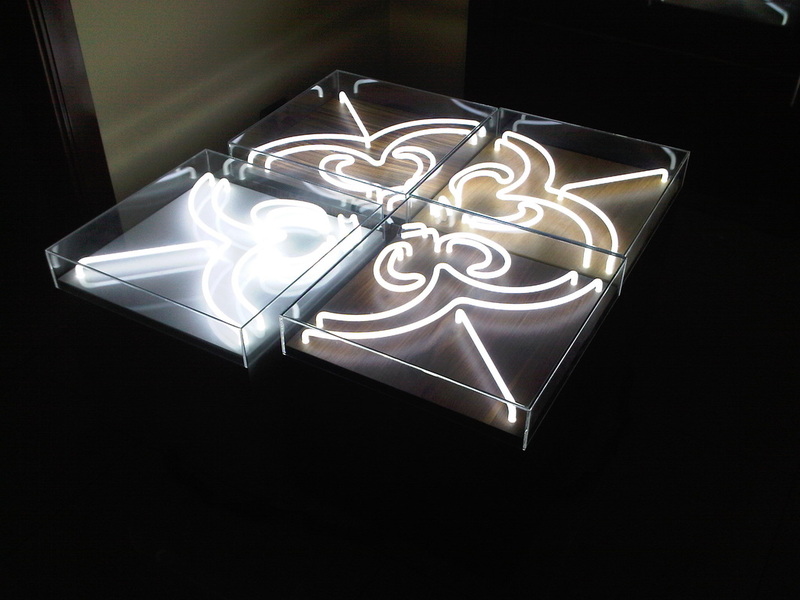 It is a constituted of four modular tables combined with neon shapes reminding old Lebanese tiles. The use of noble wood finishes in contrast with the industrial neon street lights blend perfectly, reminding the Lebanese modern yet traditional identity. The result was an experimental product with multiple pattern possibilities depending on how you dispose the modules.